This could be perfect for Christmas Eve. A haunting and beautiful prequel to a Christmas Carol . This gives us the story of Jacob Marley’s sister and helps set the scene for how he became who he was in a Christmas Carol . It is a story of lots of different types of love. Certainly made me want to reread a Christmas Carol. 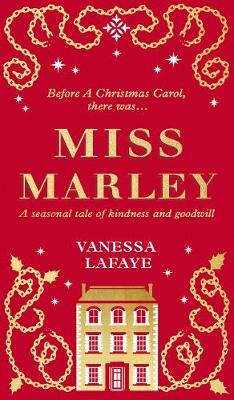 A Christmas Carol is one of my favourite ever books, so when i heard of Miss Marley, i knew i’d be buying this! Due to a large TBR pile, i’ve only just read this book now, and i’m pleased to say it didn’t disappoint. This book explores not only why Jacob Marley ended up the way he did, but also a little bit about Ebenezer Scrooge too, whilst following the life of Clara Marley, Jacob’s sister. A lovely book that i’ll be re-reading come Christmas.